Of course! 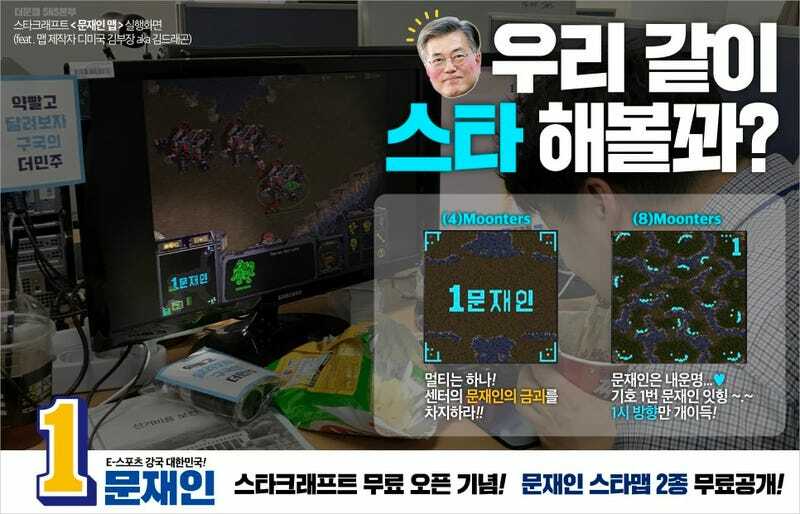 If you are trying to win votes in South Korea, StarCraft is always one way to appeal to the masses. Presidential candidate Moon Jae-in, who appears to be the front runner, has released two versions of a custom map called “Moonters” (geddit?) to mark StarCraft going free. The maps are available on the politician’s official blog. Here’s a time lapse clip of the map on Moon’s official YouTube account. This is not a joke. This is real.